WASHINGTON - Federal auto safety regulators on Monday made it official: They are betting the nation's highways will be safer with more cars driven by machines and not people. "We envision in the future, you can take your hands off the wheel, and your commute becomes restful or productive instead of frustrating and exhausting," said Jeffrey Zients, director of the National Economic Council, adding that highly automated vehicles "will save time, money and lives." The statements were the most aggressive signal yet by federal regulators that they see automated car technology as a win for auto safety. Yet having officially endorsed the fast-evolving technology, regulators must now balance the commercial interests of companies including Tesla, Google and Uber with concerns over public safety, especially in light of recent crashes involving semiautonomous cars. The policies unveiled on Monday were designed to walk that line. In a joint appearance, Mr. Zients and Anthony Foxx, secretary of the United States Department of Transportation, released the first guidelines, which outlined safety expectations and encouraged uniform rules for the nascent technology. The instructions signaled to motorists that automated vehicles would not be a Wild West where companies can try anything without oversight, but were also vague enough that automakers and technology companies would not fear overregulation. The new guidelines on Monday, which stopped short of official regulations, targeted four main areas. The Department of Transportation announced a 15-point safety standard for the design and development of autonomous vehicles; called for states to come up with uniform policies applying to driverless cars; clarified how current regulations can be applied to driverless cars; and opened the door for new regulations on the technology. Both Silicon Valley and Detroit are doubling down on their bets for autonomous vehicles. Tech companies and automakers are investing heavily in self-driving technology, including Ford, Google, Volvo, Tesla and BMW, among others. There is a range of technologies already in use for fully and semi-autonomous driving, including some that use lasers. A Barclays analyst predicted recently that once autonomous vehicles become widely used, auto sales could fall as much as 40 percent. Proponents say autonomous driving would reduce the number of people killed in traffic accidents. Last year, with nearly 40,000 auto-related deaths in the United States, was the deadliest since 2008. There have been safety concerns around the budding technology. A man was killed in May when his Tesla, in Autopilot mode, crashed into a tractor-trailer on a Florida highway. The 15-point safety assessment covers a range of issues, including how driverless cars should react if their technology fails, what measures to put in place to preserve passenger privacy, and how occupants will be protected in crashes. The points also include how automakers should approach the digital security of driverless vehicles, and how a car can communicate with passengers and other road users. The agency also urged driverless-car manufacturers to show how their technology is validated and how they would share data collected by the vehicles. The Department of Transportation also said it would assert its authority to recall semiautonomous and fully autonomous vehicles that it found to be unsafe. But the guidelines weren't nearly as specific as the safety requirements imposed on standard human-driven vehicles today. "We left some areas intentionally vague because we wanted to outline the areas that need to be addressed and leave the rest to innovators," said Bryan Thomas, a spokesman for the National Highway Traffic Safety Administration. Driverless and semiautonomous cars have already hit the open roads, forcing regulators to keep up. Tesla, the electric car maker, has sold tens of thousands of cars with a self-driving feature known as Autopilot. The company has been grappling with the fallout from the death in May of a Florida driver who had the car's Autopilot on, as well as a report last week of another crash in China where the technology was apparently turned on. Tesla plans as soon as this week to download new software to its cars. The company's chief executive, Elon Musk, has said the new software would include improvements to Autopilot that could have avoided the fatal accident in May. 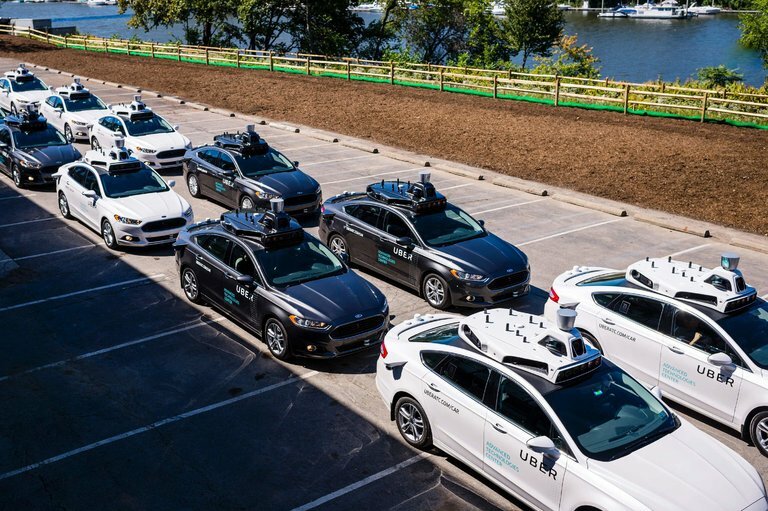 Uber, the ride-hailing giant, began trials in Pittsburg last week to let its most loyal customers order rides from driverless cars through their smartphone app. Google has been testing self-driving cars in its hometown, Mountain View, Calif., and rivals including Apple are also exploring similar technology. The federal government's embrace of driverless technology has accelerated since 2013. That year, the Obama administration waded cautiously into driverless car safety for the first time by issuing some definitions for the technology and pledging more safety research. By early this year, the president had wholeheartedly taken to the technology, proposing about $4 billion in the federal budget for driverless car research and development over 10 years. On Monday, President Obama published an edetorial in The Pittsburgh Post-Gazette about self-driving cars, saying they could save tens of thousands of lives a year and that the new policy is "flexible and designed to evolve with new advances." Last year, there were nearly 40,000 deaths in the United States from auto-related accidents, the deadliest for automotive-related deaths since 2008 and the largest year-over-year percentage increase in 50 years, according to the National Saftey Council. Karl Brauer, senior editor at Kelley Blue Book, an auto research and valuation company, said the new guidelines struck a balance between ensuring safety as automakers develop self-driving cars and making sure the introduction of lifesaving technology is not delayed unnecessarily. "We are in this weird transition," Mr. Brauer said. "It's a tough balance for the regulators. You want to get this technology out, but you don't want to move too quickly." Currently, driverless cars face a patchwork of state regulations. In the last three years, about a dozen states have introduced laws that specifically address testing of driverless vehicles. Most laws require a licensed driver to be in the car. Mr. Foxx said states would continue to regulate the licensing of drivers and insurance. But he affirmed the agency's oversight of the software technology used in driverless cars. "What we are trying to do is avoid a patchwork of state laws," Mr. Foxx said. The federal guidelines were welcomed by auto manufacturers. Ford, which is targeting fully autonomus vehicles by 2021 for ride-sharing, said in a statement that the guidance "will help establish the basis for a national framework that enables the safe deployment of autonomous vehicles. We also look forward to collaborating with states on areas that complement this national framework." Google, Uber and Lyft, through a trade association in which they are members, also hailed the guidelines. "State and local governments also have complementary responsibilities and should work with the federal government to achieve and maintain our status as world leaders in innovation," said David Strickland, general counsel for the trade group, Self-Driving Coalition for Safer Streets. Consumer advocates said they were encouraged that the government's efforts would advance safety laws and pressure companies that have operated largely in secret. But the groups also said the guidelines might result in weaker state laws. "What I fear is that there are some really good state regulations that might get tamped down or pre-empted," said John Simpson, a director at Consumer Watchdog, a nonprofit group that has pushed for greater federal enforcement of the industry. Over all, the government's endorsement will speed up the rollout of autonomous cars, experts said, potentially within the next five years. "It helps companies by providing some cover. If a car crashes, courts may look to these guidelines to help us determine what was reasonable and not," said Bryant Walker Smith, a professor at the University of South Carolina. Large automakers in particular have made big strides in the technological development of driverless cars but have been wary of introducing those features too quickly without the backing of federal regulators.